"City airport from now on"
Not Verified | This airpost a disgrace. Tried to book speedy sercurity before arriving at airport but website wouldn't let me. Got to airport and queue was down the escalator. After queueing for 40 minutes, went to fast lane to ask if he would let me through has flight was about to close. No chance. Continued to queue and saw others approach him. Some he let through (maybe it was their accent). I had to go under the barrier into fast lane while he wasn't looking to make my flight. City airport from now on. ✅ Trip Verified | Travelled on 12 March and arrived 3 hours before departure time due to the check in disaster the previous day. NO queues! 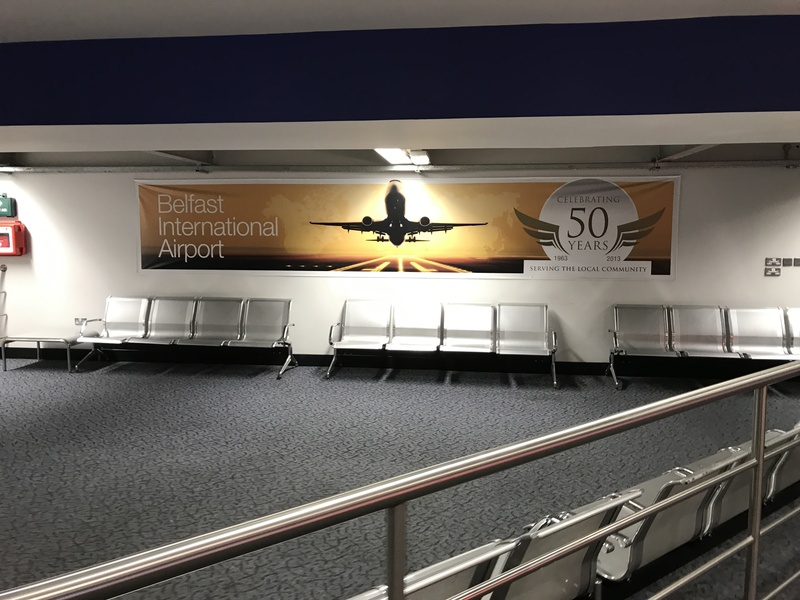 However, I agree with so many of the previous reviews that this airport is an embarrassment to N.Ireland. 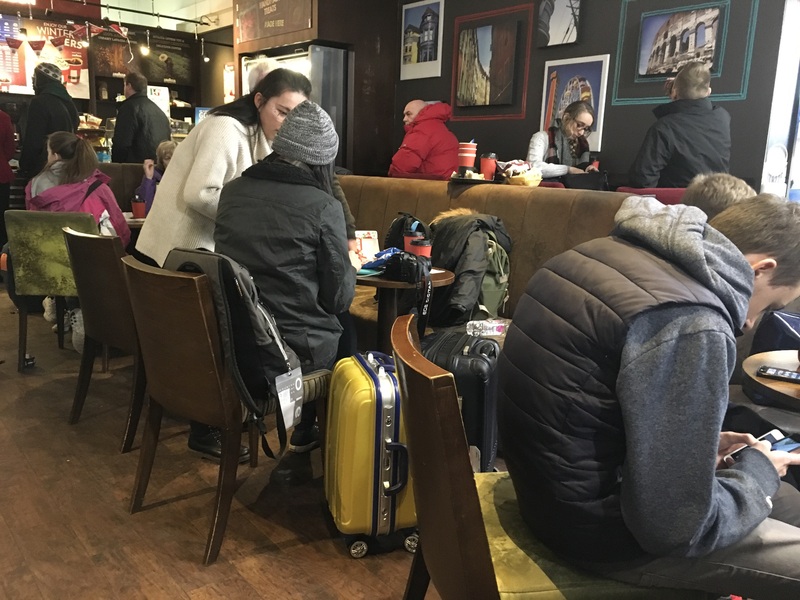 To get to the plane passengers have to negotiate series of narrow, dangerous stairs and concrete floored corridors cracked in many places with hand luggage and eventually out into whatever the N.Ireland weather throws at us. On return its the same procedure plus baggage handling is a joke. It would appear that they only have one donkey and cart which has to make several trips back to the plane and if your baggage is last off you will be waiting for an hour. Dire! And that is after standing in a queue for passport control which seems to have some system from the dark ages. There is zero respect for passengers at this airport and as a lifelong resident of N.Ireland it makes you ashamed. "stuck in a time warp"
✅ Trip Verified | Well what a difference a day makes. After reading about the horrific security queues yesterday morning I arrived deliberately early and was amazed to find virtually no queue for security at 08:20. This miraculous event was made possible by the 6 attractive and bubbly security assistants flown in from London as a knee jerk reaction to the crisis. All 5 scanners were working for once but the antiquated equipment relies on the scanner operator having to continually push items along the roller tables instead of using an automated conveyor. Despite its other numerous short comings, the insufficient security staffing levels and vintage equipment are the airport's biggest downfall. Surely an easy fix with some investment. Sadly the London staff will jet off when the fuss has died down and we will be back where we started. I now have 2 hours to kill sitting on an industrial steel seat which is wicking all the body heat from my buttocks whilst I will on the Sodom and Gomorrah treatment for this debacle of an airport. Many third world airports outpace this money grubbing den of chaos which is a complete embarrassment to our small country. ✅ Trip Verified | I will not use this airport again. Do not use Aldergrove until the rebuild of security has been completed (April at the earliest), it can take over two hours from entering the terminal to get to security, no explanation, no help no management available, no apology. Absolute chaos. ✅ Trip Verified | This airport is a disgrace and completely unfit for purpose. It does not have the capacity in security checking to handle the numbers. This would seem not due to a lack of staff numbers as declared as even with extra staff the scanning equipment is working at full stretch. Priority security at £4.00 each might seem a good choice (and earner for the airport) however there are delays here as well. At least 1 hour to clear security. Tables in Starbucks were not cleared. "resent paying extra for a Fast Track service"
✅ Trip Verified | This morning. 11/2/19 I arrived at Aldergrove to board an 08.30 flight to Luton. I joined the Fast Track lane, which extended very close to the top of the escalator and watched as people moved swiftly through the regular queue. As it happened, 2 young men just in front of me decided to move into the regular queue and were nowhere to be seen by the time I got through! Obviously,I should have done the same! Why could another lane not have been opened for Fast Track when it was obvious that we were progressing very very slowly? Surely someone in the Security area could have taken that decision as required! My husband had dropped me off early because he’d heard that Monday mornings can be extremely busy. Security staff must be aware of this happening on a regular basis. I resent paying extra for a Fast Track service that doesn’t exist and also having to rush madly to my Departure Gate when time is short through no fault of my own. "worst baggage claim in the world"
✅ Trip Verified | The worst baggage claim in the world, why does it take an hour to get bags of a plane? 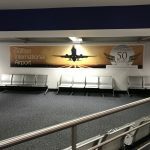 Belfast International Airport. The place is tiny! Total embarrassment! 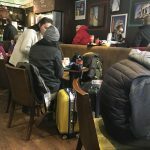 To think international visitors have to endure this backward standard in 2019. This Airport hasn't progressed in 20 years! Avoid it and use the Belfast City Airport or better still Dublin Airport. "only one scanner is operating"
✅ Trip Verified | Another Monday evening flight - not a peak travel time - yet the hall is queued back to the security barrier. I expected that. Now here’s my complaint- only one scanner is operating plus the priority one that has almost nobody. Unacceptable. When are the overdue improvements coming? I understand when the issue is building or machine capacity. Neither of those is today’s cause.